The way marijuana is being consumed in both medical and recreational fields has significantly evolved, but one exceptional method has been the smoking of pre-rolls. It is an easier way to consume marijuana and a quicker way to achieve the effects and benefits of Indica’s therapeutic properties. Our pre-rolled marijuana strains remain your best and most convenient choice. There could not be a more convenient way of consuming cannabis. Our marijuana pre-rolls are individually rolled and come in fanciful, discreet packs which are designed to perfectly fit your pockets and also conceal the aroma from discerning folks. Many users of medical and recreational cannabis still avoid pre-rolled joints because it is commonly perceived as containing low-quality cannabis. We, however, offer quality and nothing less. These highly potent indica pre-rolls were not made from stale and leftover shake with stems and broken dry leaves. We guarantee that our pre-rolled indica joints are made from premium cannabis buds and flowers, finely ground and vacuum sealed for maximum potency. This is to guarantee that you don’t have to sacrifice quality for convenience. Each pre-rolled indica joint is made from top-shelf cannabis strains. Smoking these pre-rolls optimally provides the health benefits that can be gained from top shelf indica strains. 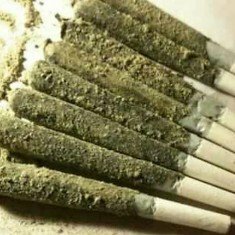 Our indica marijuana pre-rolls carry all the features and benefits of top quality cannabis plants. Expect these fast acting indica rolls to treat health conditions ranging from anxiety, stress and mood disorders, insomnia, depression, and chronic pain. These are some sweet prerolls. High quality stuff.